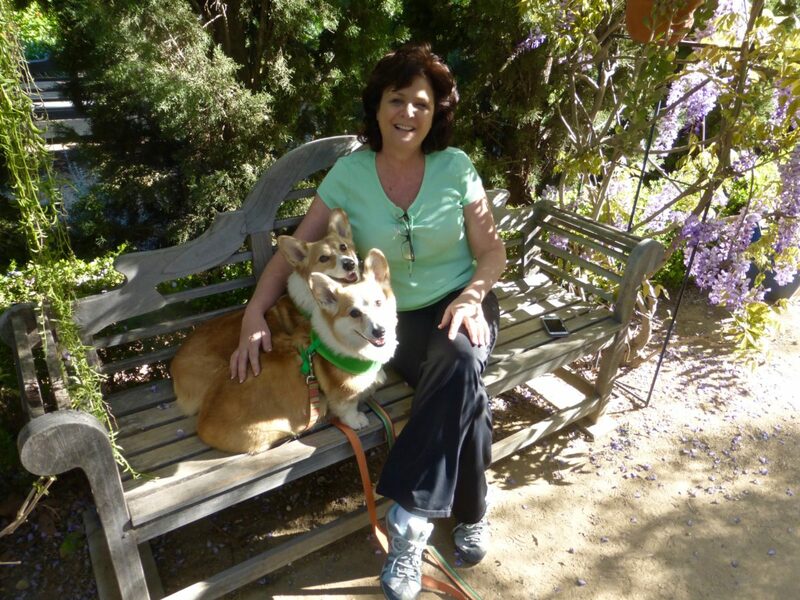 On a beautiful Sunday morning in Pasadena (and aren’t they all), our corgis were feeling a bit restless. 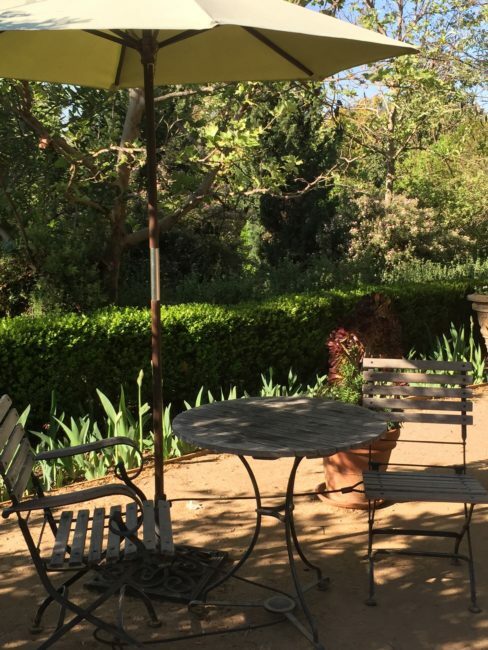 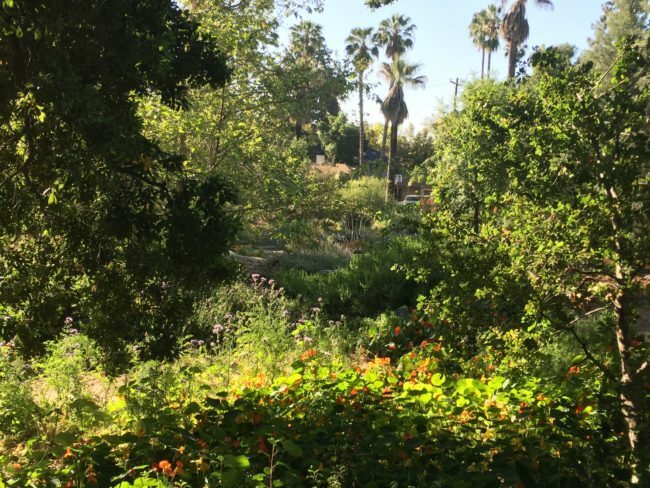 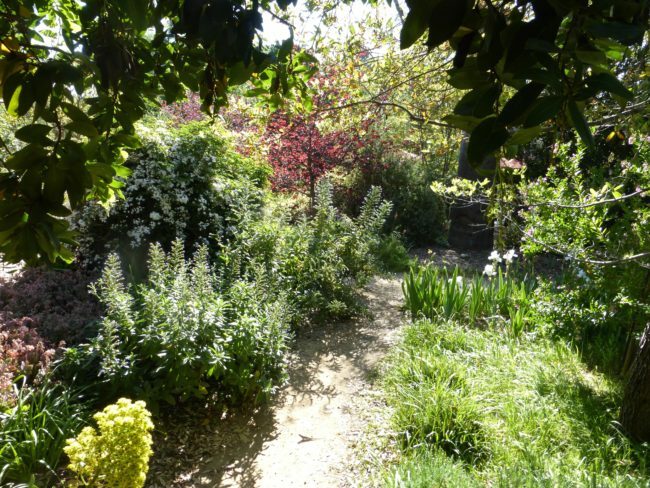 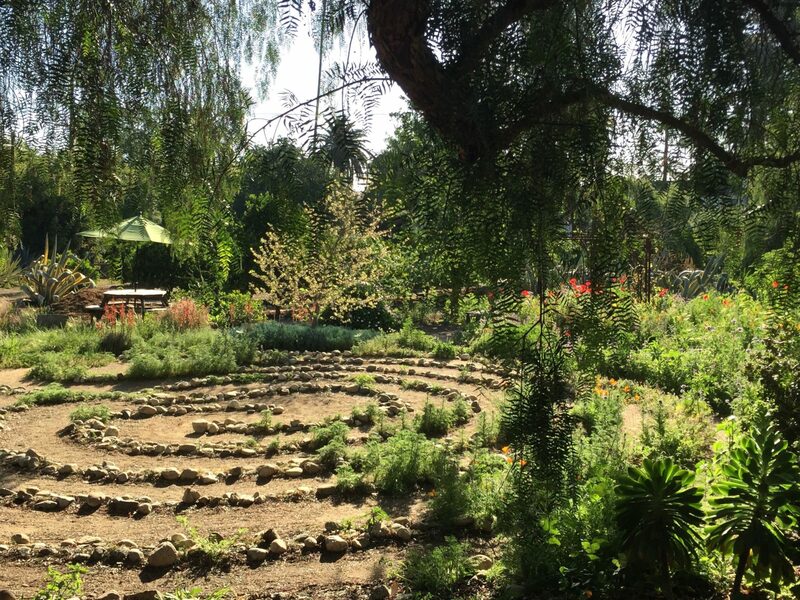 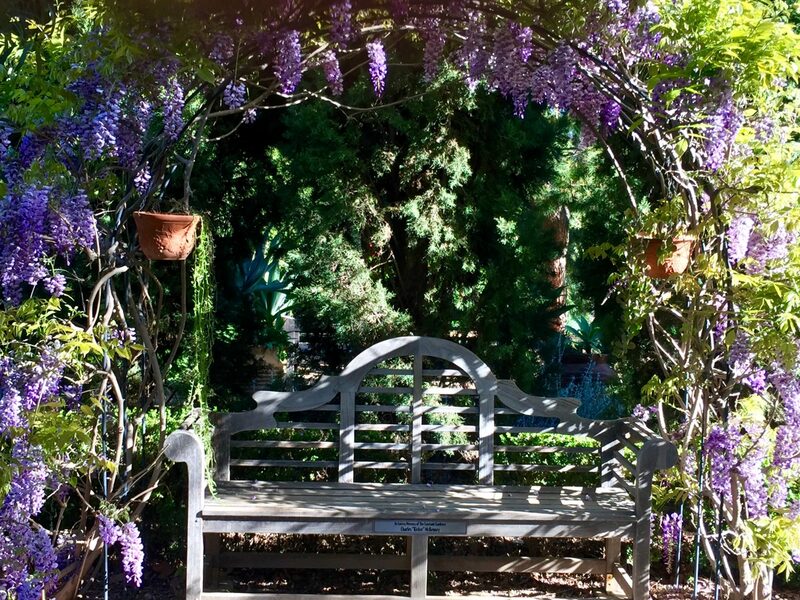 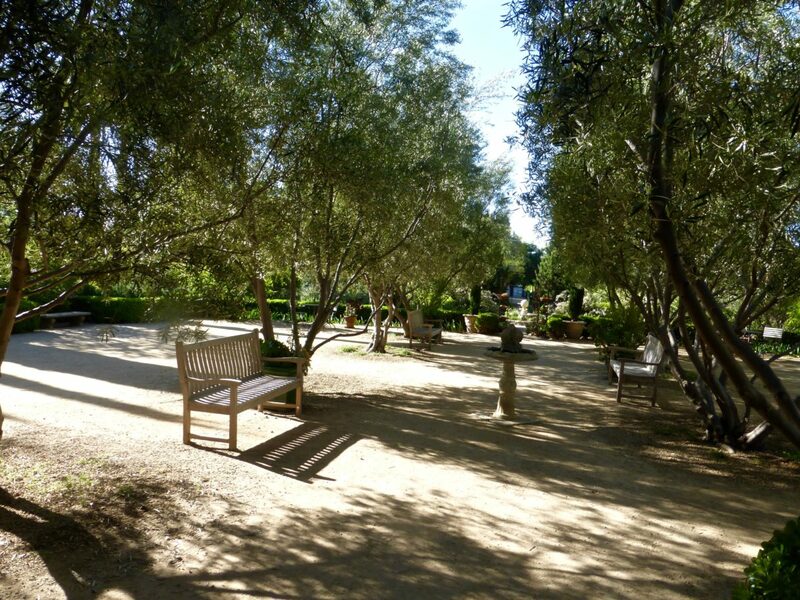 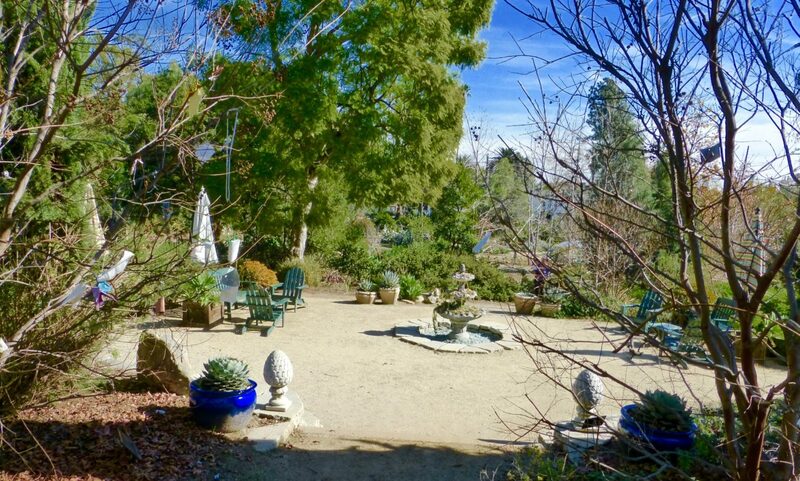 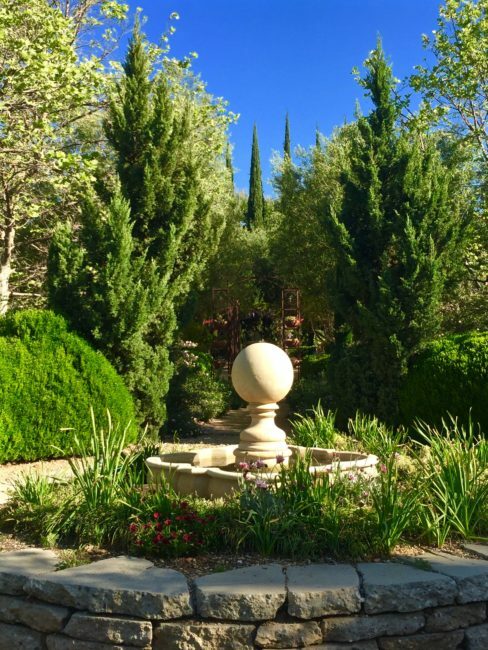 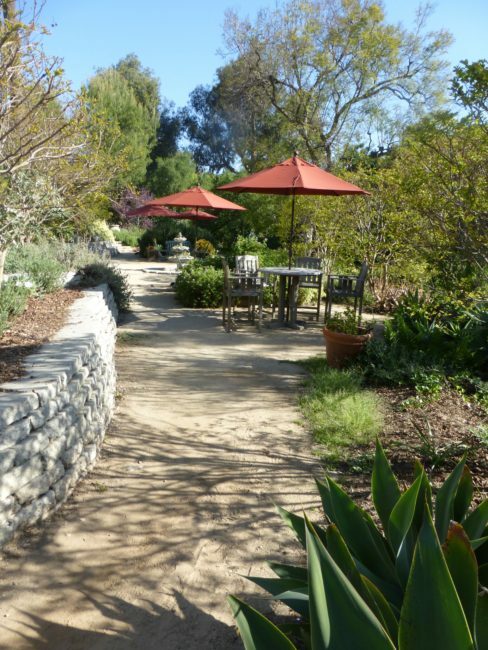 Luckily, we live very near to one of Pasadena’s beautiful hidden secrets, Arlington Garden, a three-acre site that also happens to be Pasadena’s only dedicated public garden. 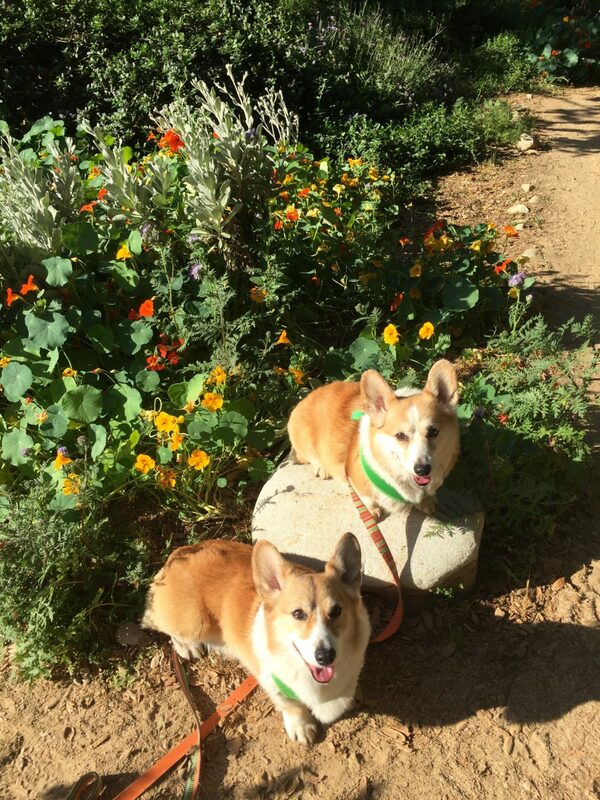 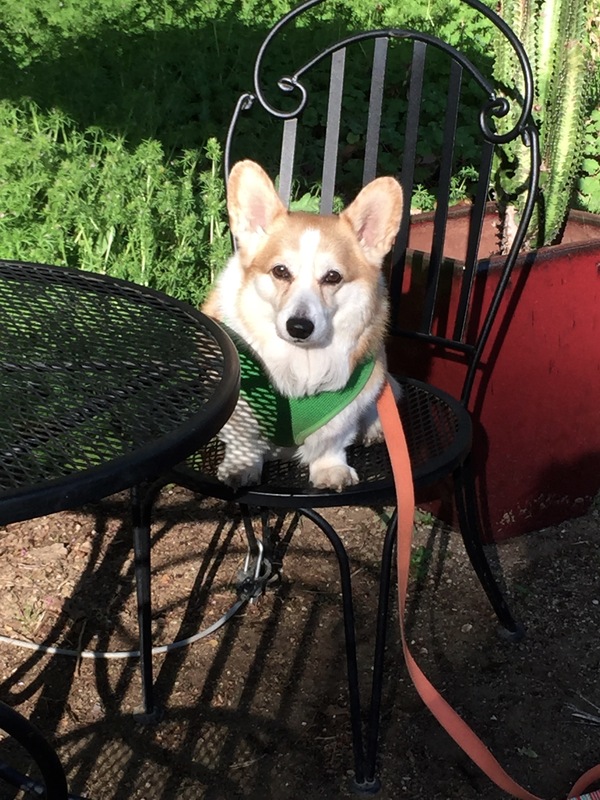 With thoughts of birds, bees and butterflies dancing in their heads, we packed the “kids” in the car and we were off on our Sunday morning corgi adventure. 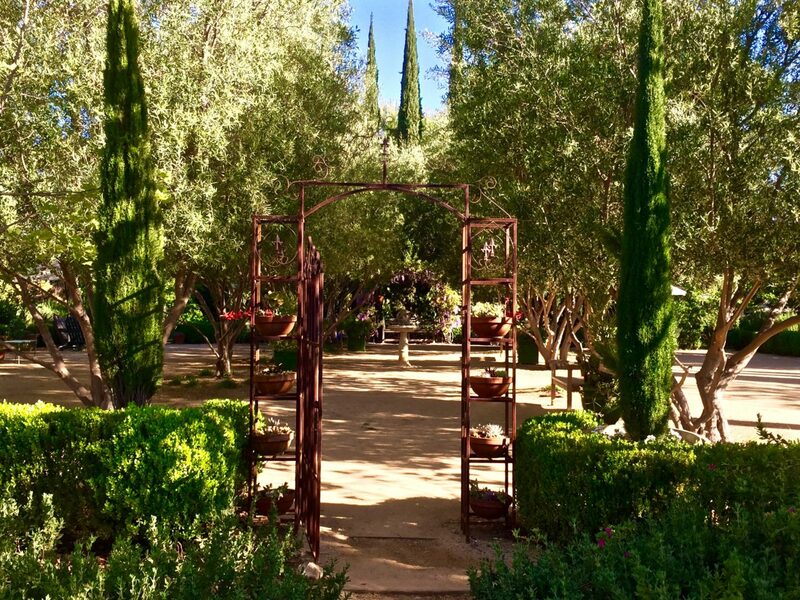 In 2005, Arlington Garden founders Betty and Charles McKenney, along with its designer, Mayita Dinos, received inspiration for this garden after reading Jan Smithen’s book Sun-Drenched Gardens: The Mediterranean Style. 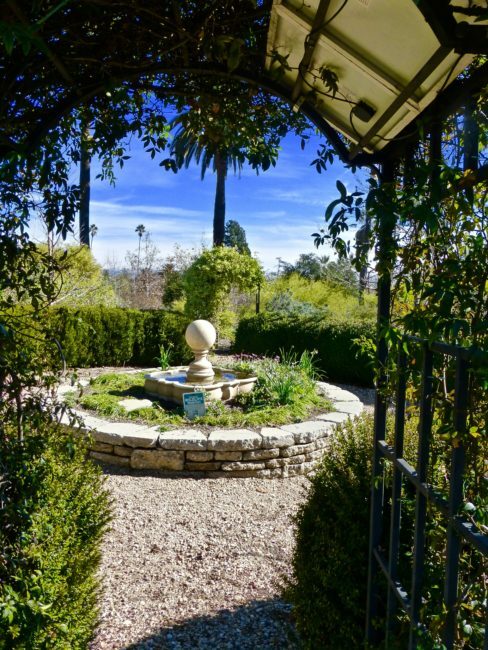 The garden is located between Orange Grove and Pasadena Avenues, an area that once housed very expensive homes, so expensive that it was called “Millionaires Row.” Arlington Garden stands on the plot of land that was once a garden to one of those gorgeous mansions (the Durand Mansion), which are now mostly long gone, this one thanks to Caltrans who stored heavy equipment there. 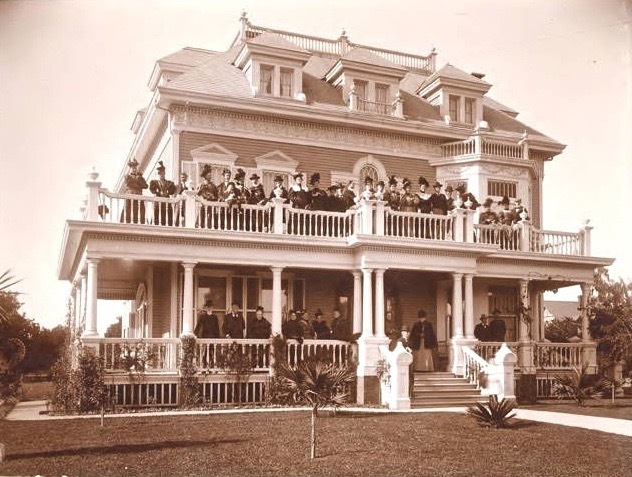 When you see photos of those old homes, you realize what a tragedy it was that they were torn down. During one construction phase of the never-to-be completed 710 freeway extension, Caltrans purchased the land. 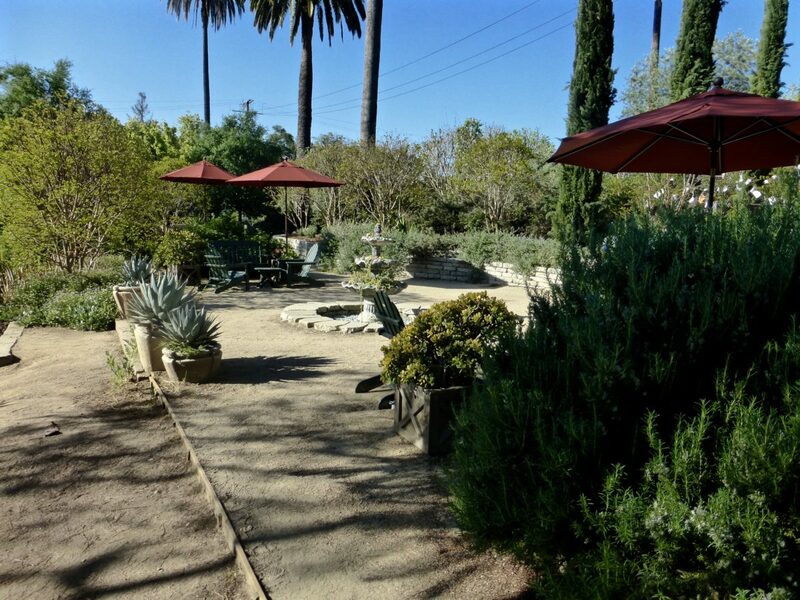 Fortunately, Charles McKenney, a former Pasadena congressman, thought this area could use a few trees. 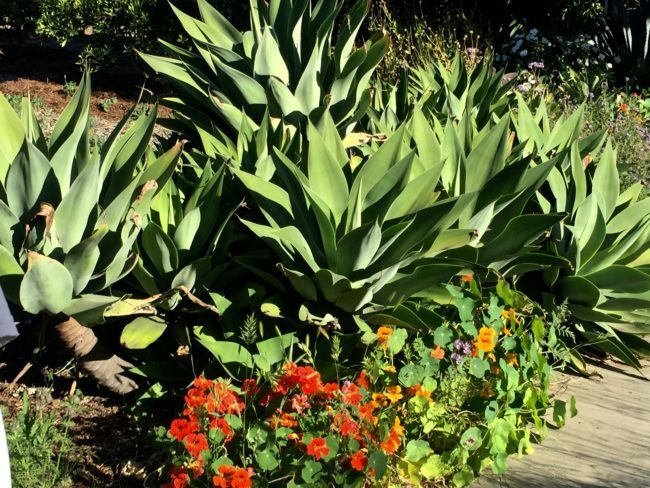 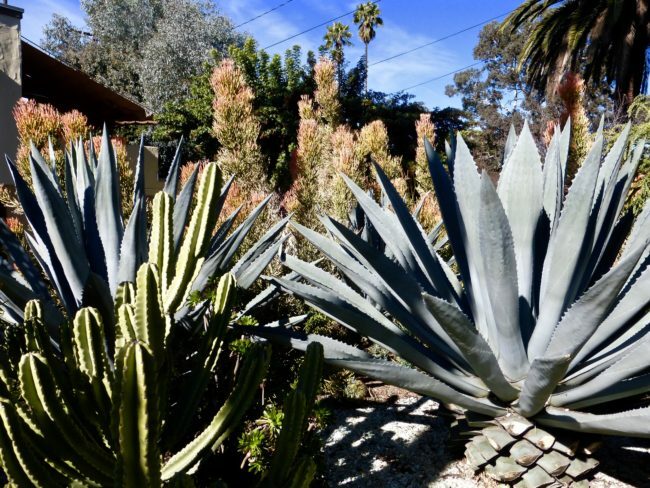 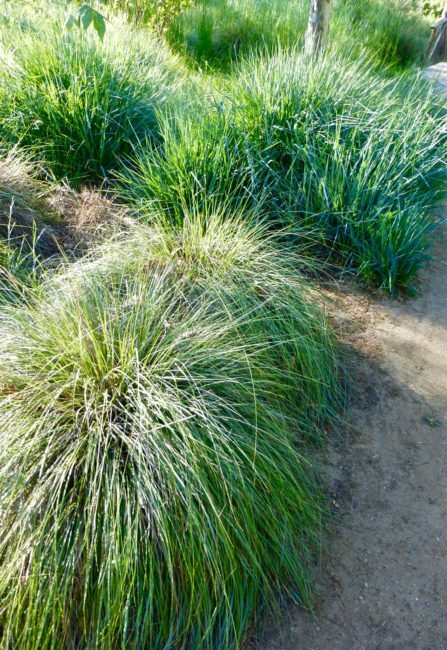 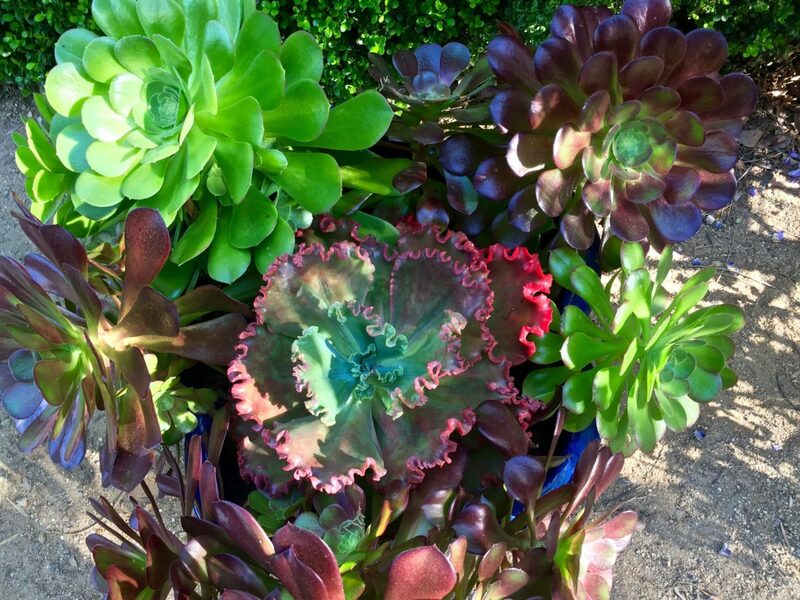 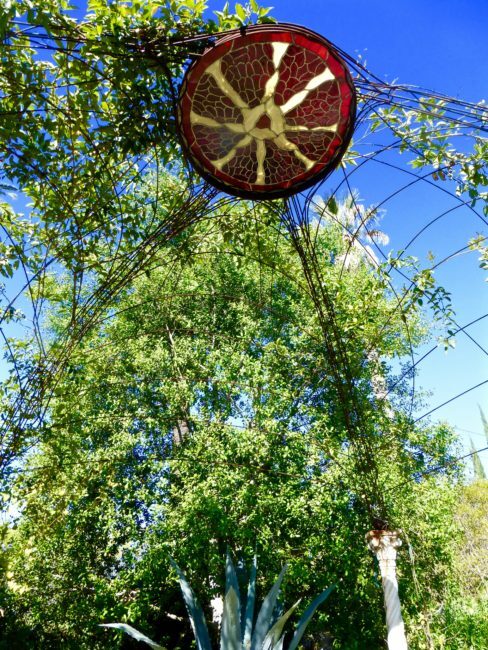 According to the Arlington Garden website, the ”goal was to create a public, water-wise garden that celebrates Southern California’s Mediterranean climate. 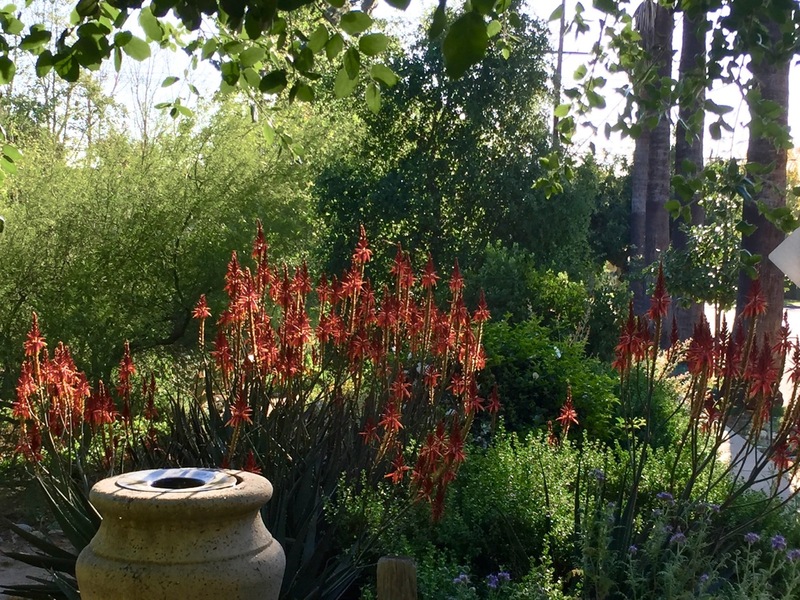 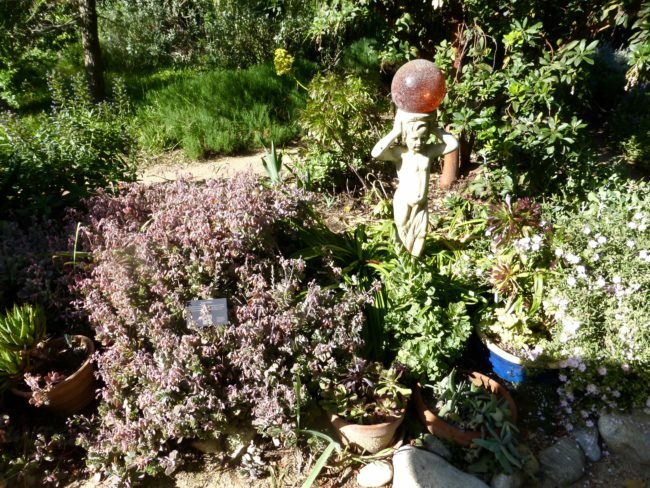 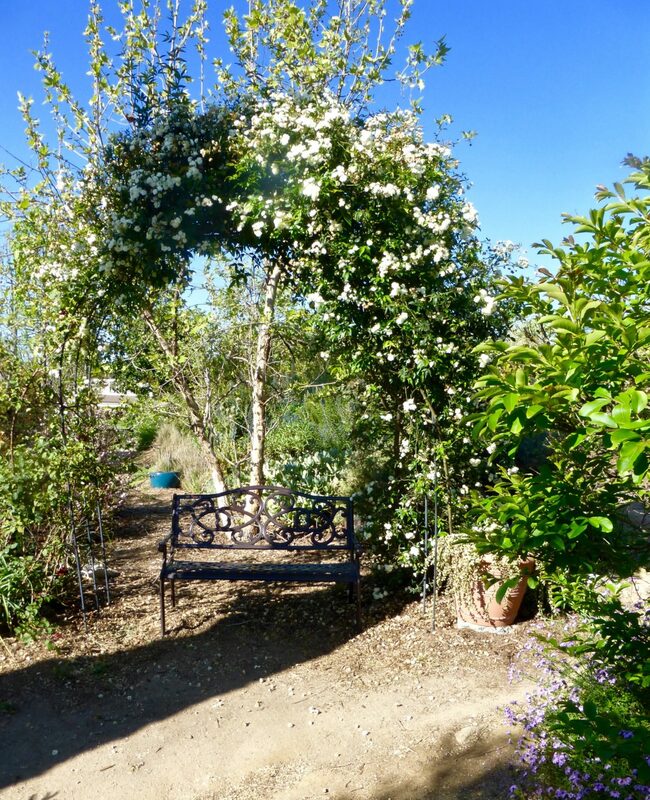 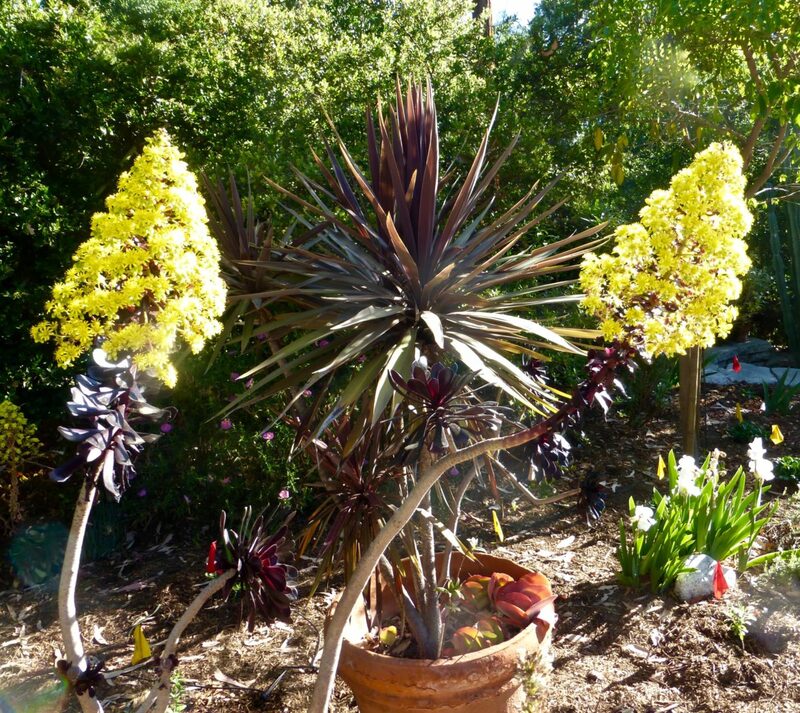 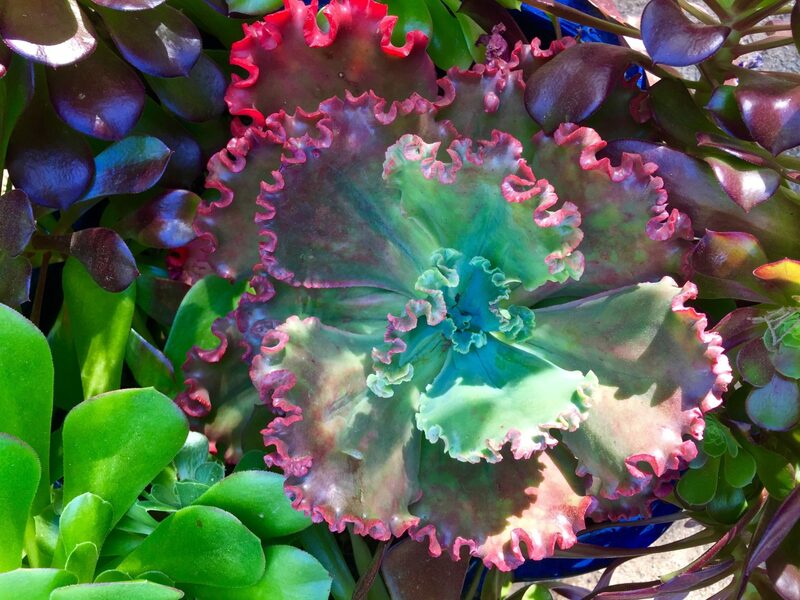 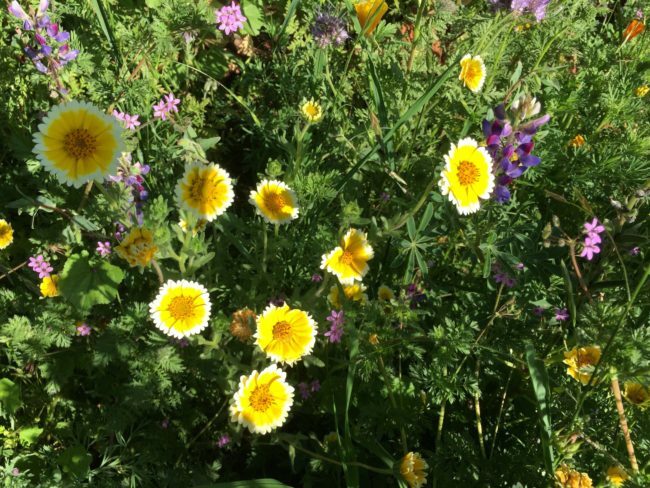 The garden demonstrates how beautiful and practical a well-planned, water-conserving and climate-appropriate garden can be.” I keep trying to tell people we live in a Mediterranean climate, not a desert environment, but I only play a horticulturist on this website. Volunteer labor and donations have helped grow the area into what it is today, a cute and lush space where people can take leisurely strolls along its meandering paths through gardens featuring numerous types of flowers and trees. 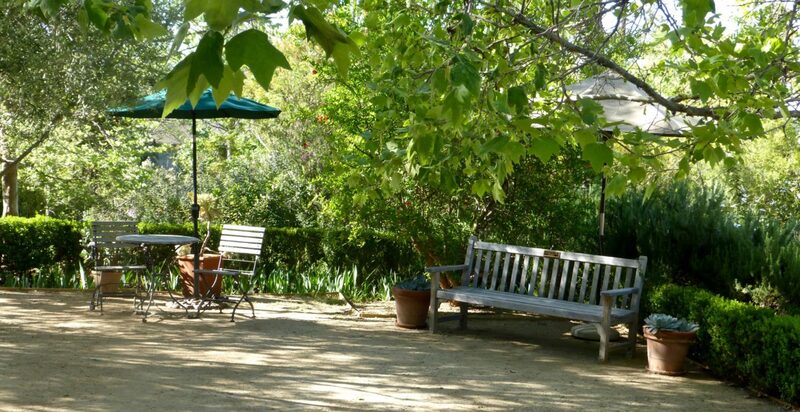 It’s also a place to take a picnic lunch and plop down in one of the few dozen outdoor “rooms” located throughout these few acres. It’s also free to visit (open during daylight hours). 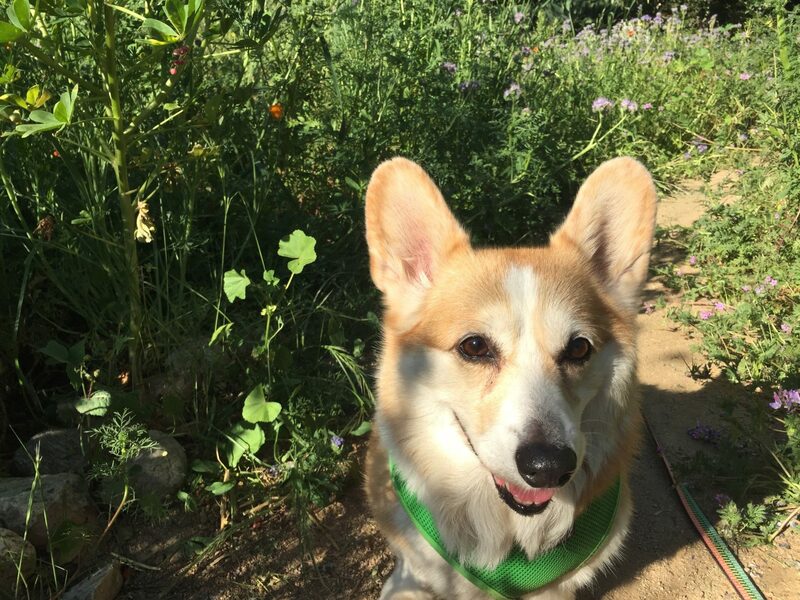 Dogs on a leash are welcome, but remember those poop bags (if you own corgis, I recommend two bags). Speaking of dogs, ours were ready to go and so were we. Here’s a smattering of what we saw. Inside, we observed structures that provide the gardens…structure. 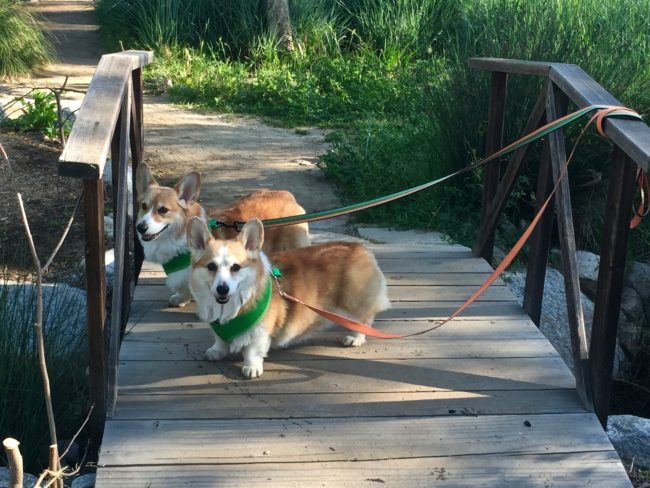 The only wildlife we saw on this morning were Frankie and Remi who crossed this bridge when they came to it. 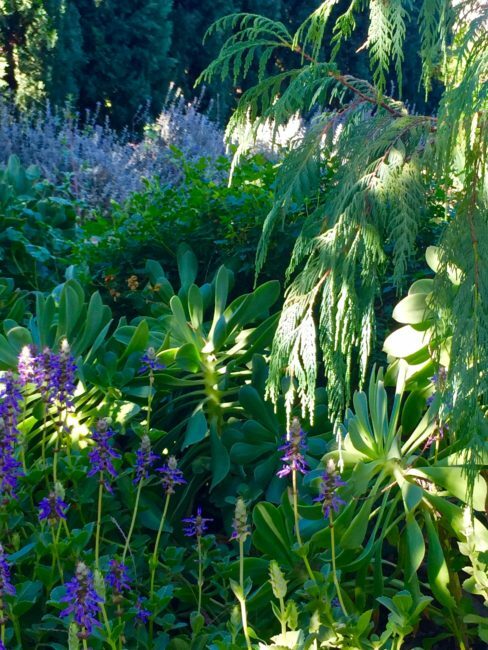 …and along the trail flora flourished. 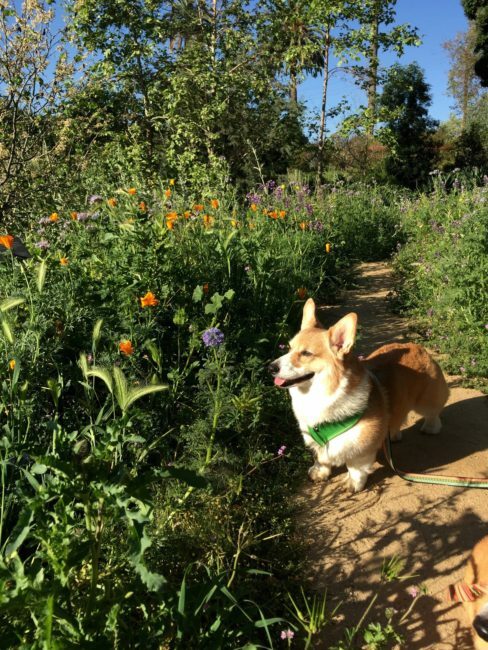 Hey, you don’t need to drive all the way to the desert for those wildflowers. 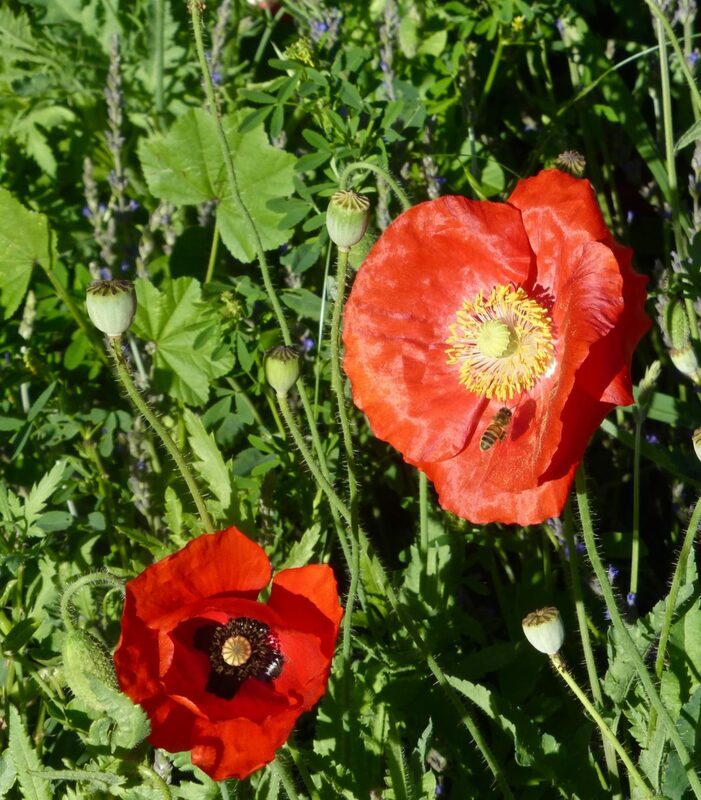 Bees also love this place because Arlington Garden contains so many pollinating plants and flowers. Next up was the Vernal Pool. When the pool is inundated with water (not today), you can see fairy shrimps and diving beetles, not that I would have recognized them. 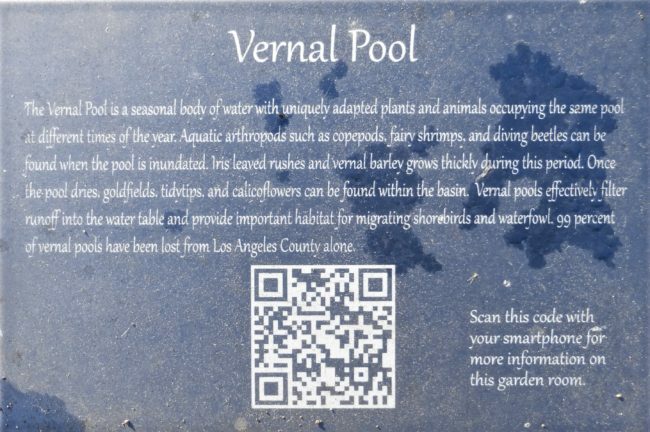 One of the signs along the way also stated that of all these important habitats in Los Angeles County, 99% have been lost (as you see, you can download an app that will give you a QR code to access even more information). There are many “rooms” at Arlington Garden where you can sit, relax and bring a little picnic lunch, read a book or mediate. 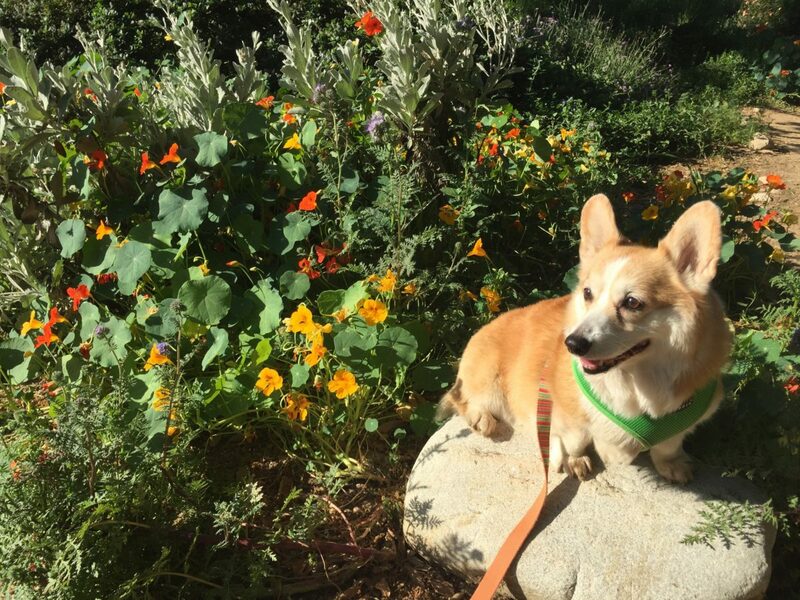 With corgis, it’s never quiet enough to meditate. 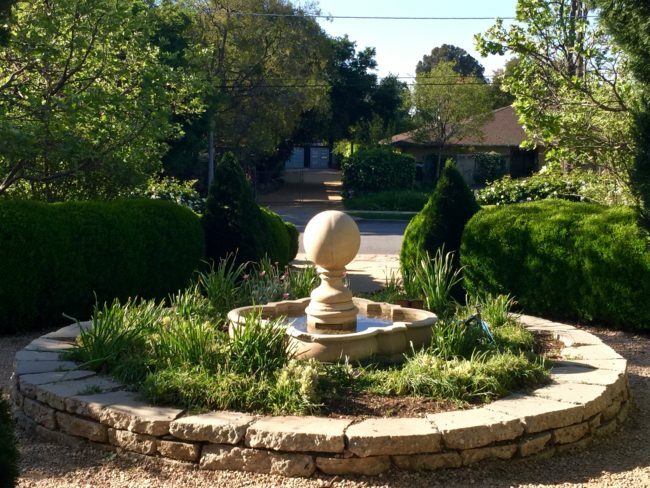 What’s ahead, a mini Stonehenge? 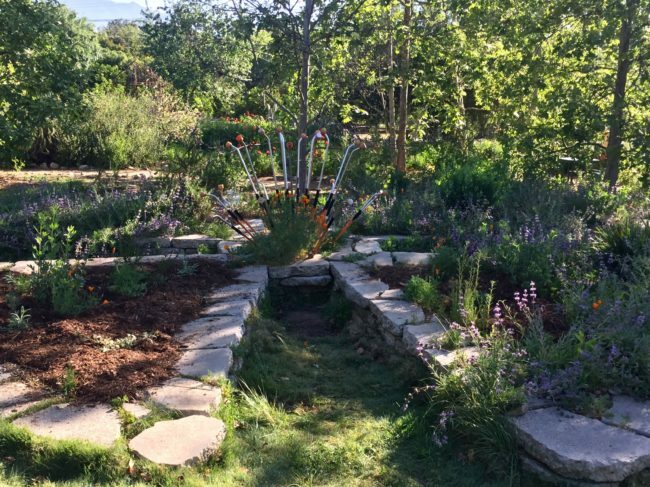 Nope, it was the famed Arlington Garden Labyrinth. Betty said, “The labyrinth was created by the 10th grade class at Mayfield Senior School. It’s a classical seven circuit labyrinth, and the girls created it in about three hours in 2010.” A sign states, “The labyrinth is merely a circuitous route to the center (which is sometimes seen as the center of your inner thoughts).” They can also stimulate right brain activity, but since I had downed a couple of martinis the previous evening, my brain was not functioning at full capacity. 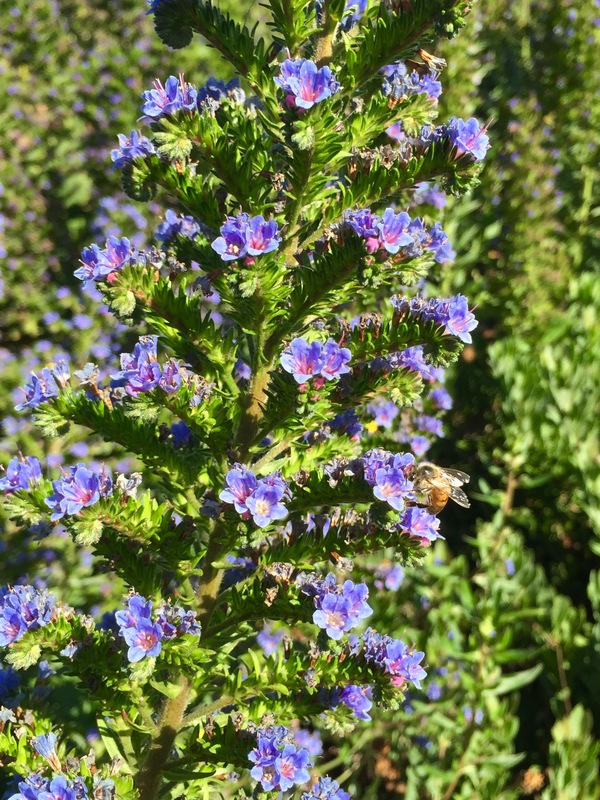 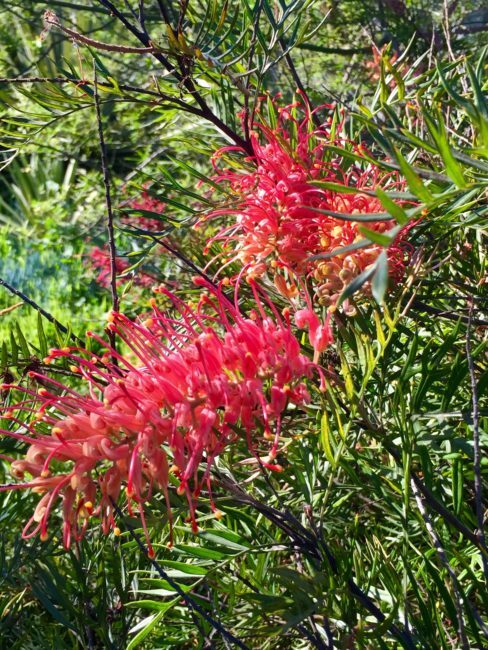 There are various spots in the gardens where birds, bees and butterflies like to hang out. 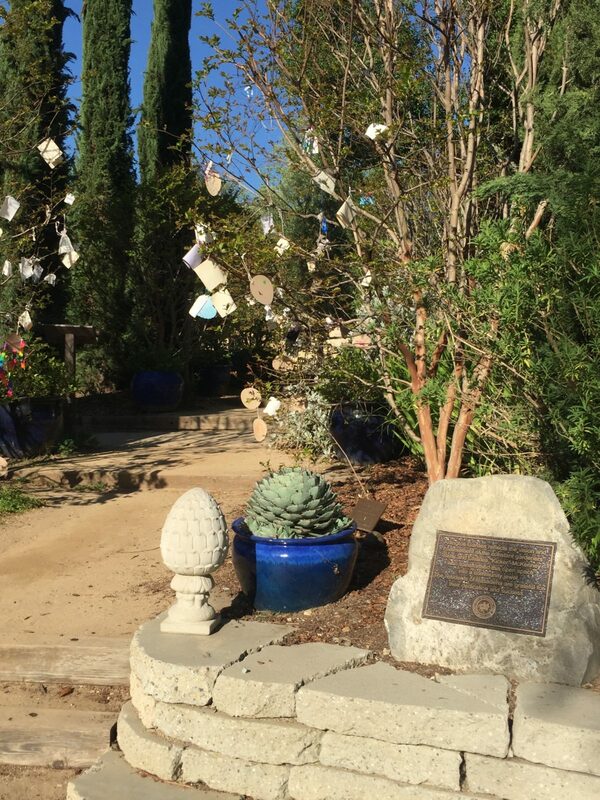 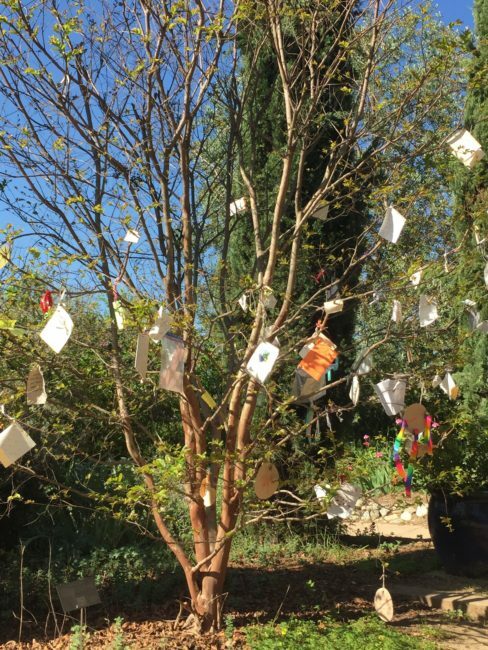 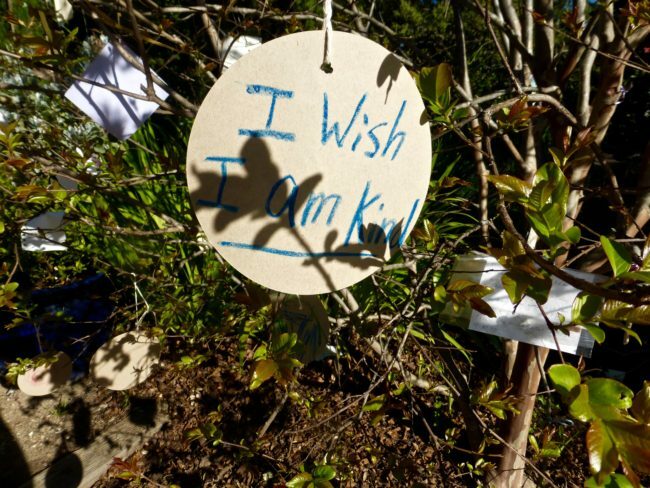 After putting on an exhibit at One Colorado in Pasadena where more than 90,000 wishes were attached to the trees, Yoko Ono donated the 21 pink and white crape myrtle trees. Remi just wished we’d brought more treats and staged a mini sit-down strike. 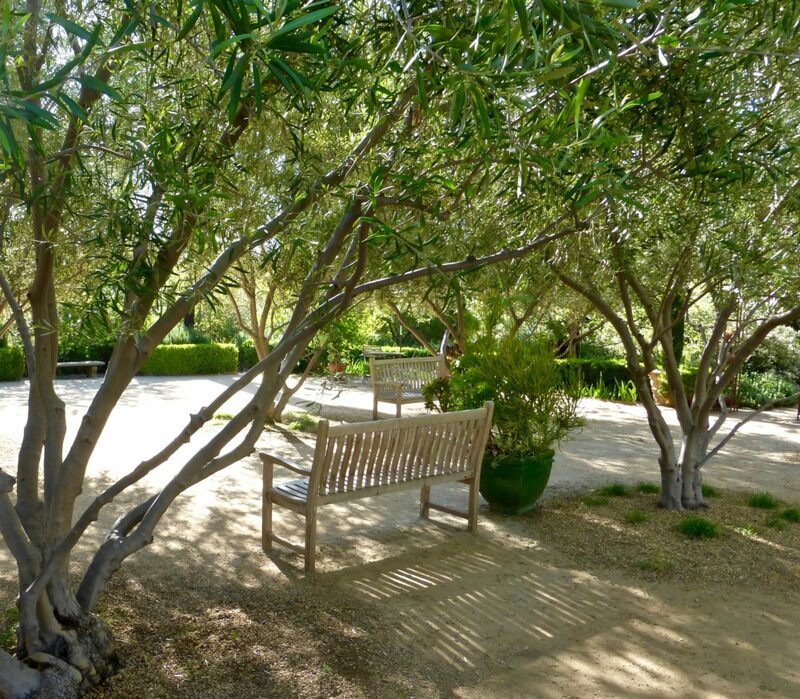 This room (which I had photographed on a previous trip) is called the Wish Trees Terrace. Betty emailed that there were about 35 different rooms at one point with a sign with a QR code on each sign. 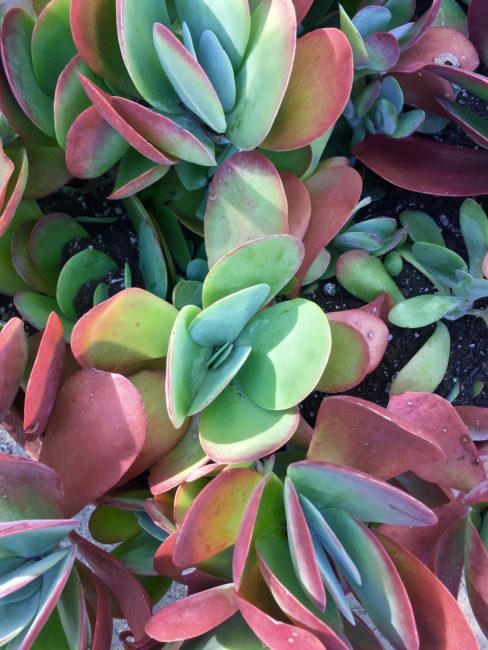 They needed to redo them since they had faded over time. 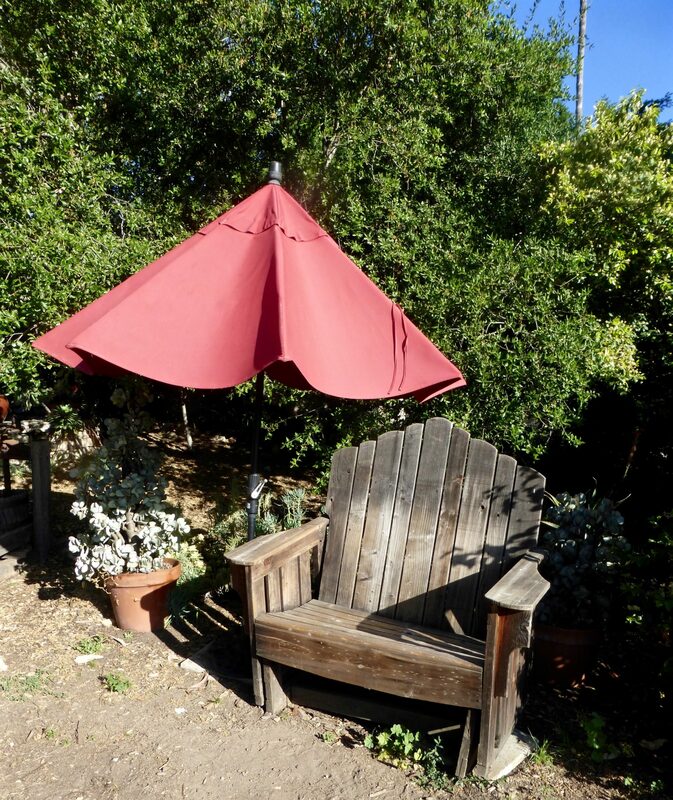 You never know where you’ll find a secluded spot to take a load off. Look closely and you’ll run into some whimsical pieces located throughout Arlington Garden. 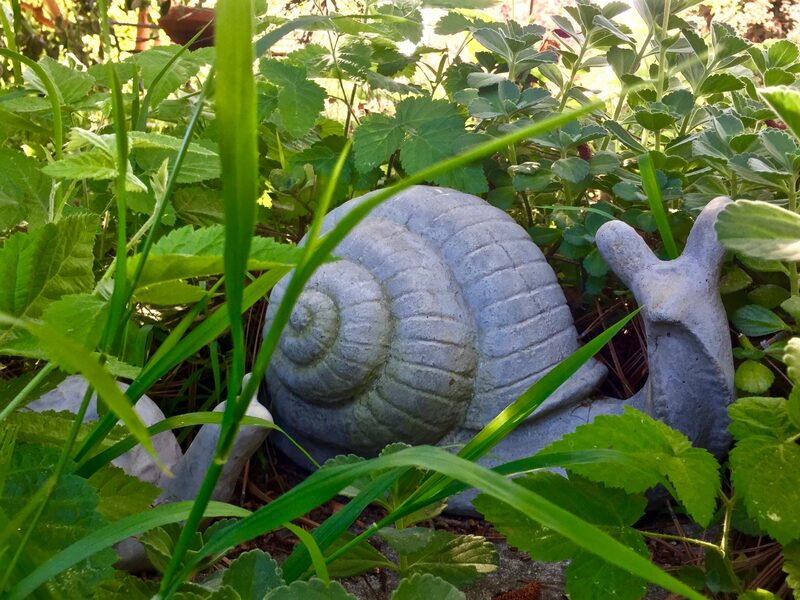 By now I was getting a little sluggish. 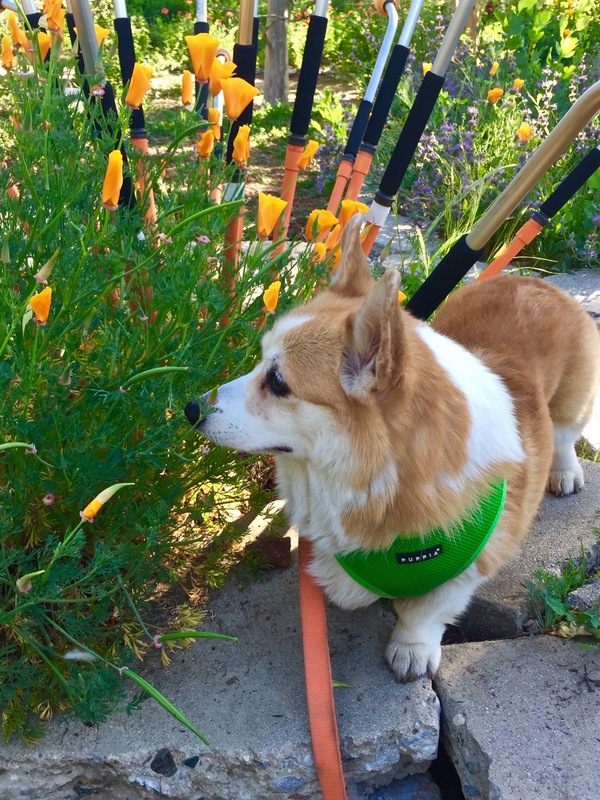 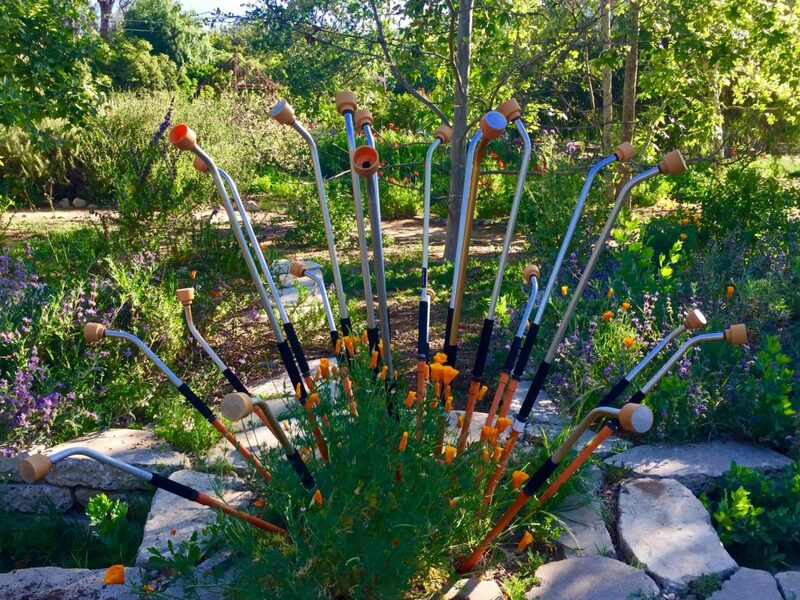 Remi was particularly fond of the watering wands that forms a California poppy with four petals and the wands are the stamens (Seed heads). She’s a big fan of Garden Art. 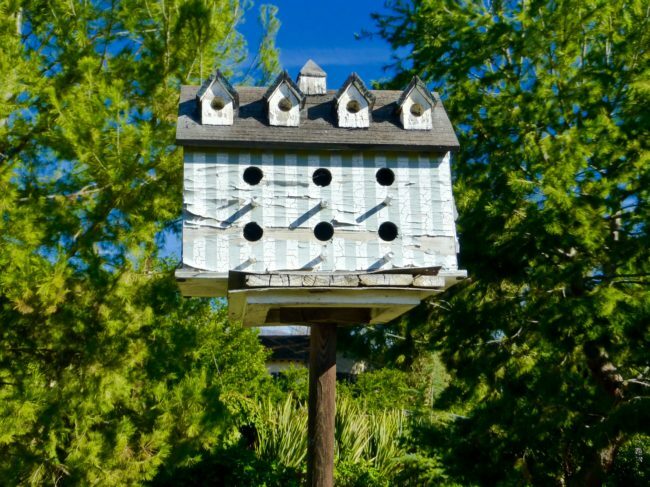 Unless you look closely you wouldn’t know that homes are located nearby. 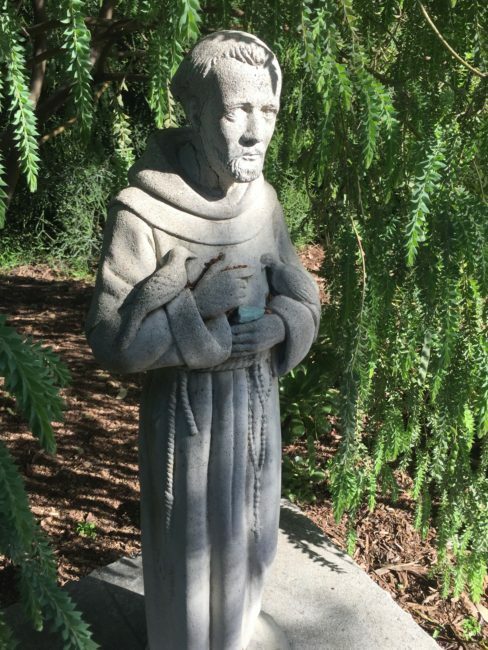 …and even ran into St. Francis. 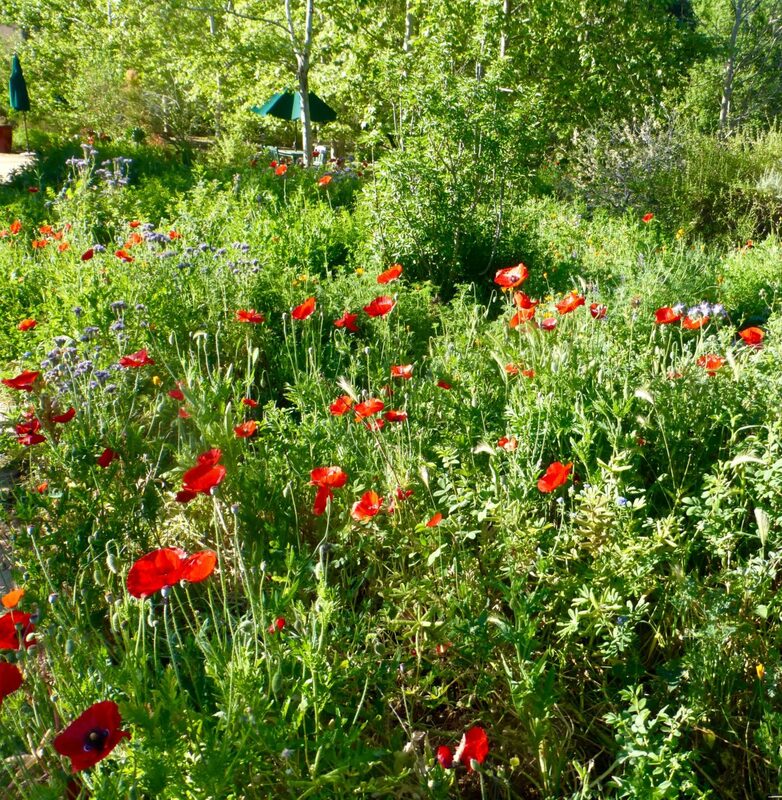 This is a place you can return to often because the flora changes throughout the year. 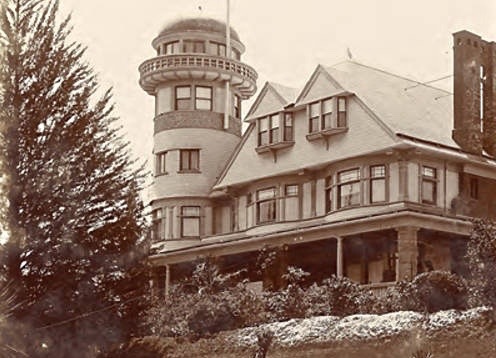 I’m sure it’s different now, even though it has only been a short number of weeks since our last visit. 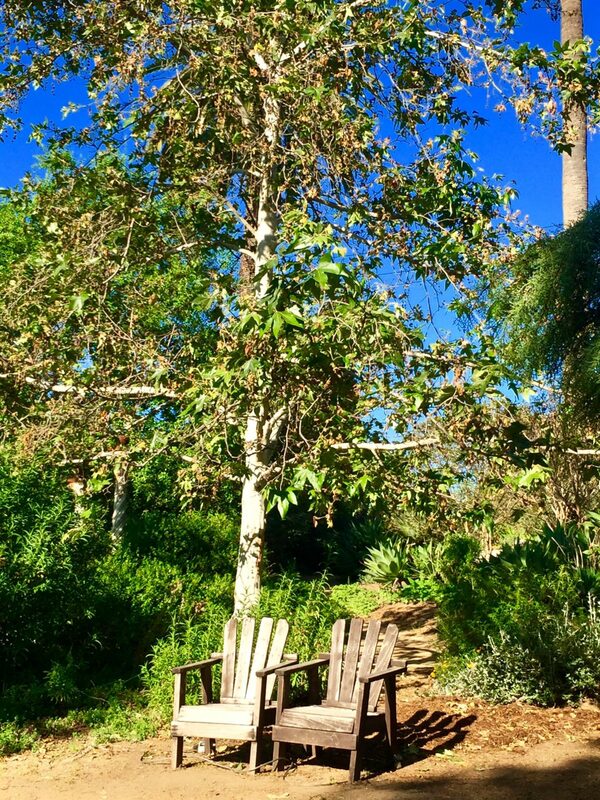 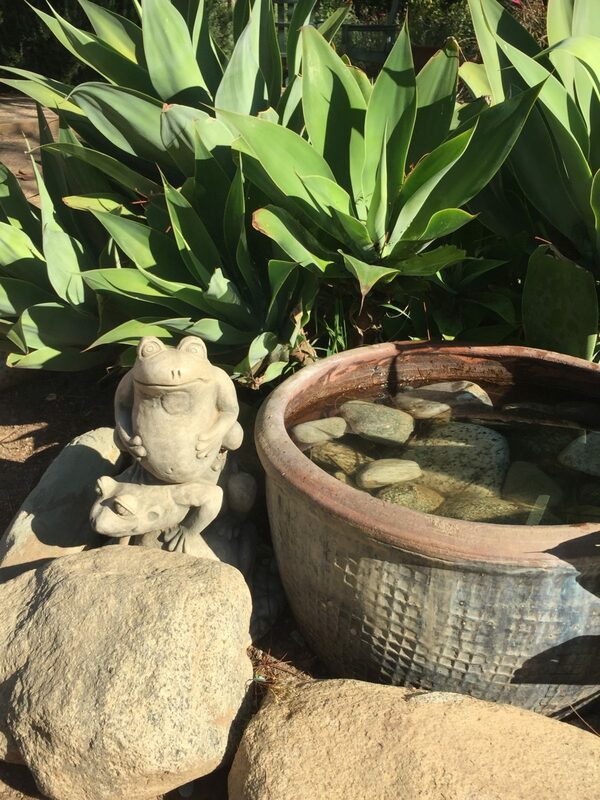 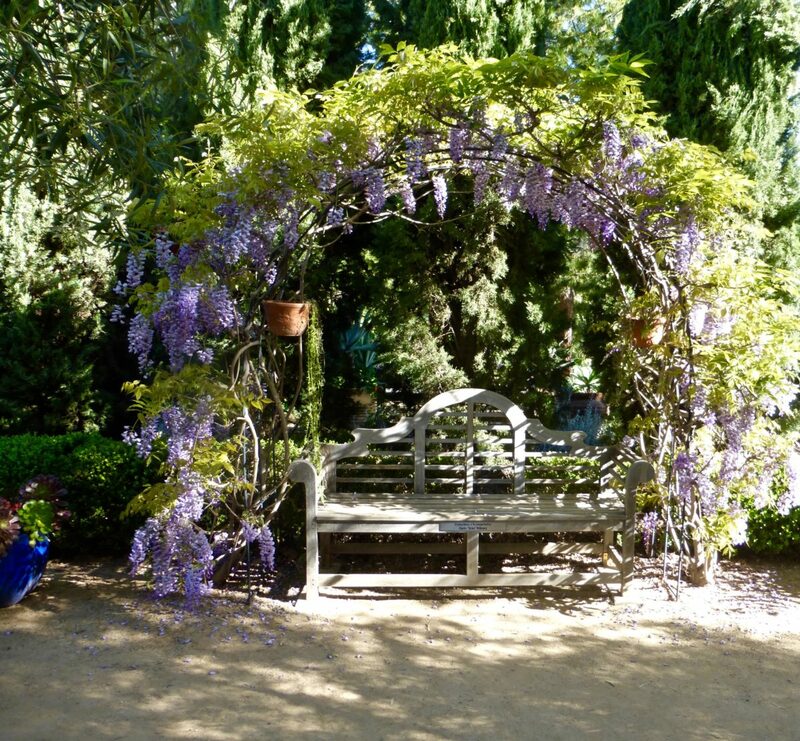 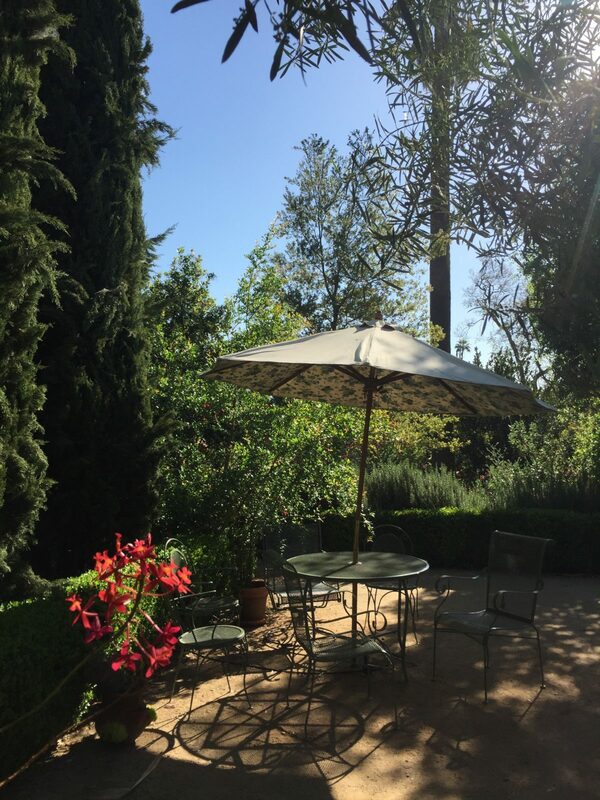 We’re lucky to have so many nearby gardens including The Huntington Library, Art Collections and Botanical Gardens, the Los Angeles County Arboretum & Botanic Garden, Descanso Gardens, and even the Storrier Stearns Japanese Garden across the street from Arlington Garden. 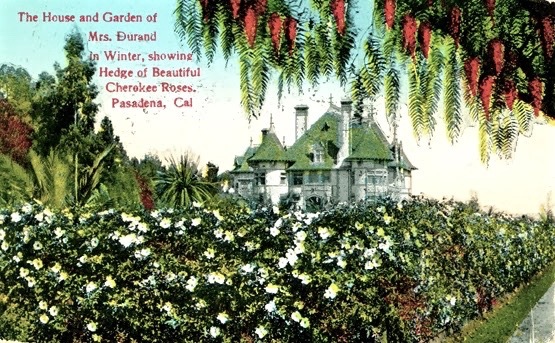 You can click on those links for my descriptions of those gardens. 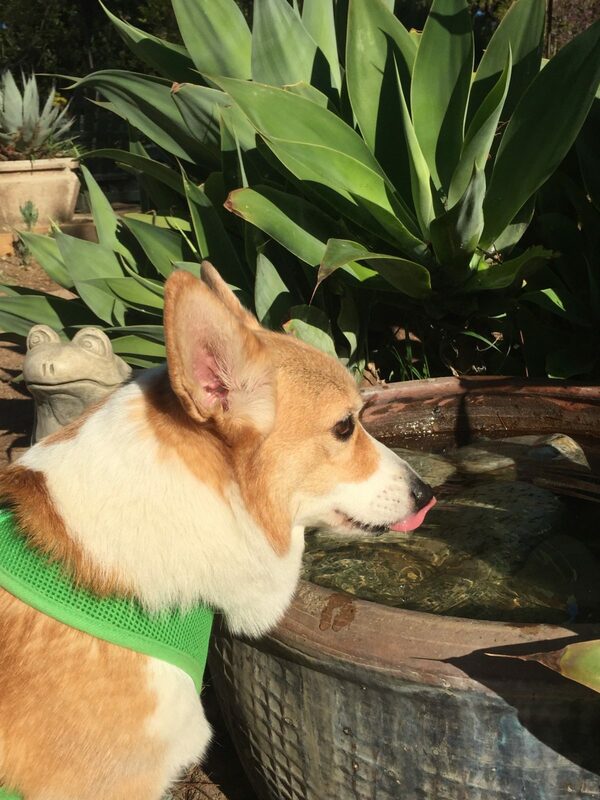 …and maybe even a corgi or two.